Are you tired of dealing with plenty of leftovers, and there is barely any place to put these without adding up to your piles of trash? One easy and practical way to do this is by getting a garbage disposal unit. This prevents the mess and fuss of eliminating food leftovers while making the cleanup process more convenient for you. Listed below are the 5 reasons why you need a garbage disposal unit. The most common method that people do in getting rid of their leftover food is by stuffing it in the trash bin. There are also some who decide to simply flush these down the sink, which can clog the pipelines and create a foul smell in the kitchen. On the other hand, a garbage disposal unit prevents this from happening since leftovers go straight into it and eliminate the additional task of cleaning up your mess. If you have a hectic schedule with barely any time to deal with getting rid of leftovers, then a garbage disposal unit is for you. Cockroaches, rats and several other household pests like areas that are loaded with dirt and stench, which are characteristics of homes with plenty of leftovers lying around the sink and pipes. These pests are not only a pain to deal with, but they can also cause diseases that affect your entire household. Once these pests have invaded your home, it may be difficult to get rid of them. If you have a garbage disposal in your kitchen, you can end your worries about pests and bacteria since your leftovers are placed in a special vessel that will not attract unwanted creatures in your home. Working moms and busy people who have no time to deal with scrubbing the sink or removing leftovers in the kitchen will find it more convenient having a garbage disposal unit to accomplish these tasks. By relying on this essential item in the kitchen , all you need to do is to wash and clean the dishes, and leftovers go straight to the unit. Simply turn the tap on to let water flow down the drain, then allow wastes to go into the garbage disposal before turning the unit on. This machine will instantly grind food until it is too small and able to be flushed down the drain. This shortens the length of time you need to clean the sink and worry about leftovers. Garbage disposal units help minimize trash from food leftovers. This means, you are doing your part in minimizing greenhouse gases that are released by waster management trucks as trash is brought to landfills. You are also reducing methane production as less amount of food waste go into landfills, and this means cutting down harmful gas released to the atmosphere. In most cases, leftovers get stuck in pipelines, which can cause clogging in your sink. Plumbing concerns can arise because of this, can be very expensive and stressful. With a high-quality unit, you no longer need to use too much water, and you can save on your electric bills, at the same time. With all these benefits, having a garbage disposal unit should be an essential item in every kitchen. 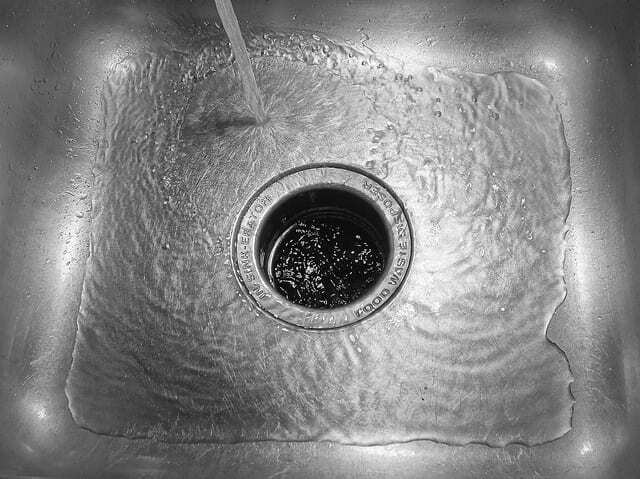 Visit http://www.downthesink.com/waste-king-l8000/ to know the factual info and guidance over the garbage disposal unit.